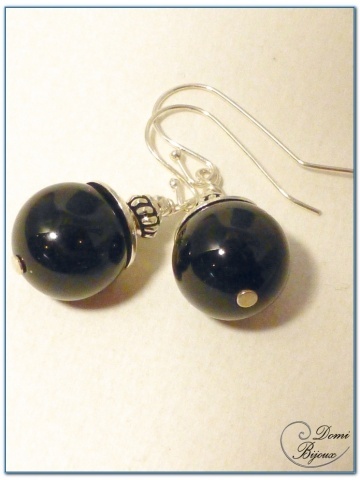 Silver925 earrings made with onyx pear of 12 mm diameter. This silver925 earrings are made with 12 mm diameter black agate (or onyx, it's same black agate), surmounted with small siver pearls. Like all the assembly of this earrings,the hooks are 925 silver, so without allergies. 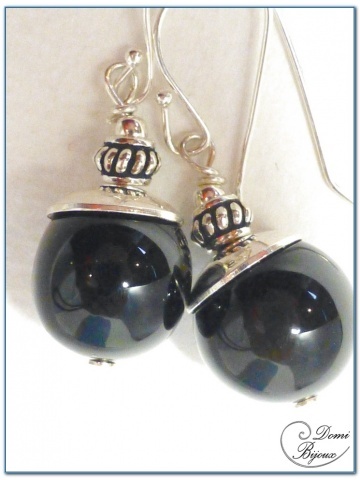 Very nice earrings with a chic outfit. 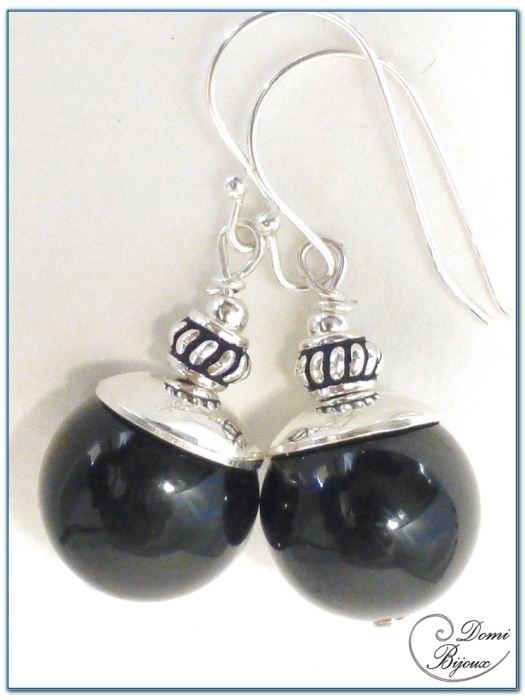 You will be able to associate a silver black agate necklace in our catalog. Like our all jewels, this earrings are hand made, and will be delivered in a nice cloth pouch closed by a link, to store them carefully when you don't wear.